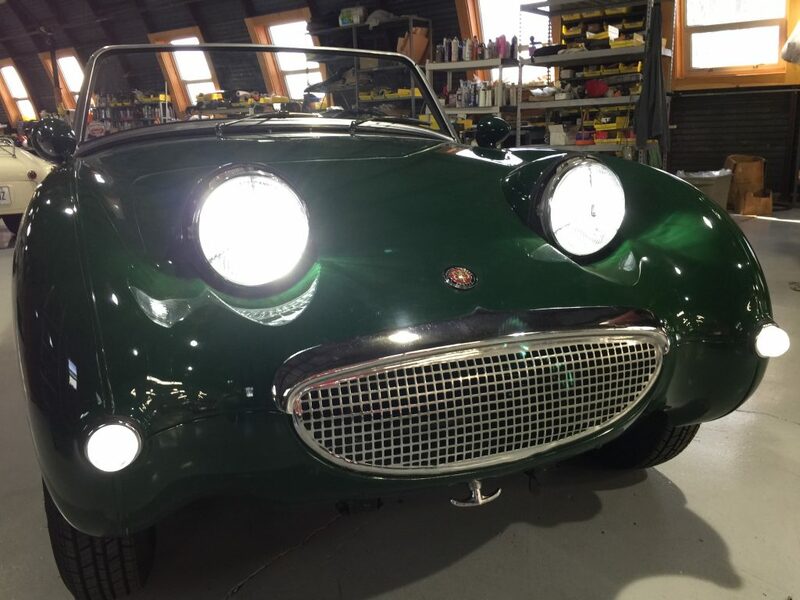 All of us need brighter headlights, especially as our eyeballs age. Modern cars just seem to be getting brighter and brighter. Now we can compete. 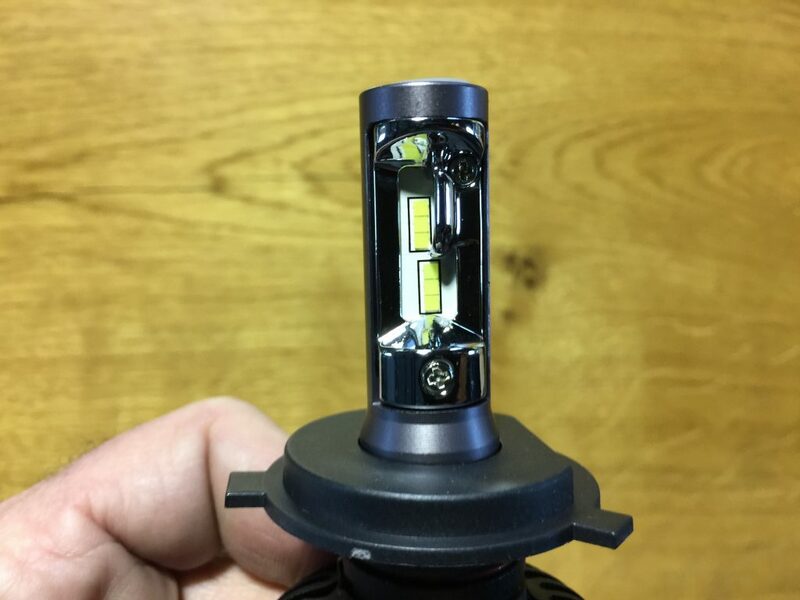 This is an innovation we are really proud to share, a breakthrough that can make every Spridget (and every classic British car with seven inch headlight bulbs) safer to drive at night and easier for others to see. 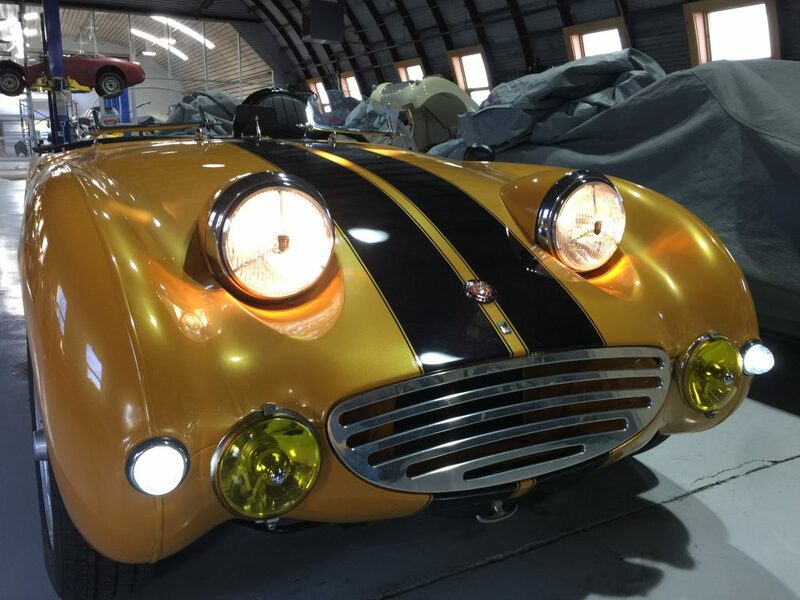 Above is the “before” picture of Goldie, with conventional 55 watt halogen low beam bulbs inside vintage look tri-bar lenses. Above is a picture of Berkley with the same tri-bar lens but loaded with a 35 watt LED bulb. Notice the difference! LED lighting is superior… quite a bit brighter while using fewer watts. We’re excited to offer another great innovation that will help the community see and be seen. We offer a plug and play kit. You can find it in our catalog by clicking here.